Traditionally the thought of a pressure washer around the home makes you think of heavy duty jobs, like cleaning off siding, you know those jobs you call the experts, like Superior Cleaning, in for. However, whether you are using it yourself, or hiring a professional, there are many other ways you can put this powerful tool to use. Whether cleaning or completing a project, having a pressure washer at your disposal may be more useful that you thought. 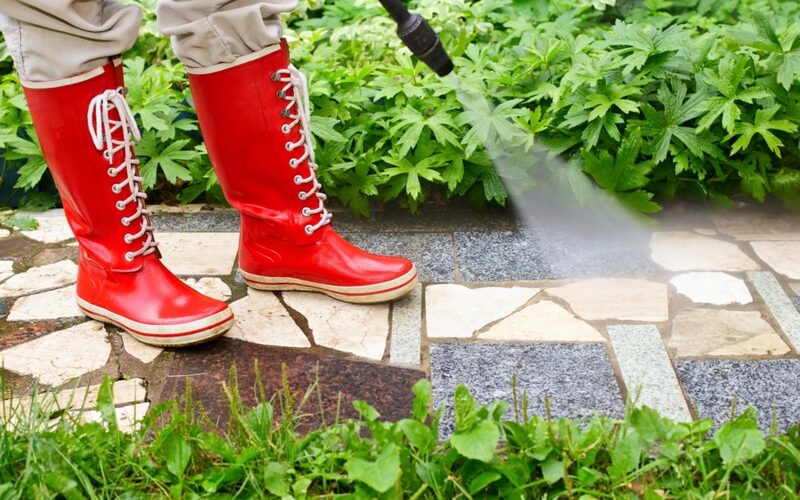 There are plenty of items outside of your home that can easily be cleaned using your pressure washer. After all, these items tend to be weatherized wood, plastics, and metal which can easily withstand the pressure when the correct nozzle is used. Cleaning your outdoor grill can be a pretty daunting task at times, especially if you aren’t cleaning it thoroughly after each use. If you do not want to spend an hour or more scrubbing each space meticulously then you can easily use your pressure washer to speed up the process and get your grill back to looking new. Outdoor furniture is subject to a lot of different elements depending on the weather where you live. Power washing these can remove any grime or mildew stains and help ensure that your patio furniture always looks inviting to any guests that you want to entertain. Your lawnmower is a useful tool for making your yard an inviting and comfortable space for guests or family members. Do you think about cleaning it before putting it away? Cleaning this thoroughly will help to keep it running smoothly and protect it from wear and tear related to the clippings, dirt, and grime that it can and will collect over time. Gutter maintenance can be a real pain at times depending on how much has built up inside of them, their height off the ground, and the sheer length. Using your pressure washer here can turn this into a quick and simple task, and make it a bit safer. We do caution, however, gutter cleaning, especially if your home is two stories, is sometimes just something better left for the experts. Awnings and canopies can, like your outdoor furniture, collect grime and mildew over time. Just like your gutters, these can be a challenge because of their height. Cleaning this way can help you to avoid potential injury from unnecessary movement while on a ladder or step stool. You may not be thinking about the items inside your home that can be cleaned using a pressure washer. Generally, items made of plastic or metal are strong enough to withstand the pressure. Once again, you will want to make sure that you have the correct nozzle for the job. Trash cans, barrels, and other receptacles can retain plenty of germs, bacteria, and even uninviting smells. Cleaning these is not always a simple task. Using a pressure washer not only makes this much less of a hassle but can also ensure that you aren’t breathing in lingering smells or chemicals. Area rugs can pick up all kinds of materials. These can include allergens such as dust, pet dander, and pollen which can easily recirculate in the home when disturbed. They can also collect dirt which can then be tracked throughout your home. Using your pressure washer and a light detergent to give these a good cleaning every so often will help you to avoid stirring up allergens and can restore the look of your rug. Using your pressure washer to strip old cracking and/or peeling paint is an interesting use for this tool. This process eliminates the dust from sanding completely reducing the effects of inhaling harmful particulates during this stage of your project. It can also help you avoid any potential injury from the repetitive motion of hand or power sanding your project. This interesting afternoon project can use the dirty surface to your advantage. You can make a stencil and then take it out to your driveway, sidewalk, or walkway on your property and pressure wash your design. When you want to completely remove any of these patterns, you can just pressure wash the rest of the surface. No matter what you choose to use your pressure washer to clean, always make sure that you are being safe. While it can be a tool for speeding up cleaning or to assist with projects, it can also be dangerous if not used properly. Because of the powerful spray produced by a pressure washer, it can easily damage skin and other sensitive parts of your body. You should make sure to exercise caution and always avoid pointing the nozzle at yourself or others– and when in doubt, call in the experts at Superior Cleaning.